No new drug products were added to the “No pCPA Negotiations” list, for a total of 58 products for which the pCPA has declined to negotiate – collectively or at the provincial-territorial level. Of the 7 files initiating negotiations this month, two had previously been considered and declined by pCPA; Ilaris in January 2017 and Viacoram in July 2017. 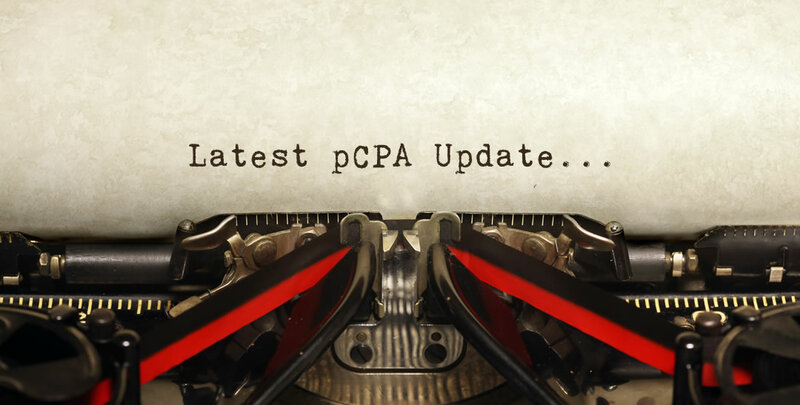 In addition, the pCPA has initiated negotiations on a third GLP-1 product (Adlyxine) while talks continue on both Trulicity and Victoza. Finally, a couple of negotiations with implications for biosimilars – Renflexis is the second infliximab biosimilar to be negotiated while Tresiba is the first long-acting insulin product to enter that therapeutic space, post-biosimilar entry (Basaglar). 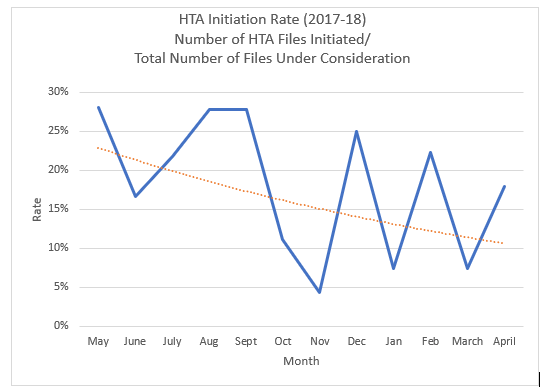 While the chart above considers all files (including pCPA-initiated negotiations) under pCPA management, the chart below focuses on the rate at which pCPA is initiating files coming through the HTA process and into the “pCPA Consideration” phase. One negotiation was completed (none closed) since the last update, for a total of 208 joint completed/closed negotiations. Six new drug products received a CDEC or pERC recommendation or notification to implement in April 2018, for a total of approximately 28 products under pCPA Consideration. 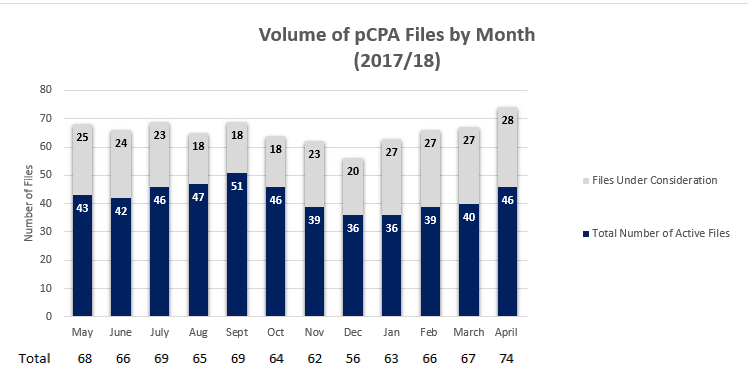 No new drug products were added to the “No pCPA Negotiations” list, for a total of 58 products for which the pCPA has declined collective or provincial/territorial-level negotiations.